Supporting high and complex needs with positive and proactive engagement. Yooralla specialises in providing support to children and adults with disability who present with behaviour of concern. By taking a human rights focus and building on an evidence-based approach, Positive Behaviour Support (PBS) focuses on increasing a person’s quality of life and decreasing the frequency and severity of their behaviour of concern. Our specialist team of qualified and experienced practitioners takes a positive and proactive approach. Positive means increasing and strengthening helpful behaviour through learning and reinforcement, rather than using punishment or negative consequences to respond to someone. Proactive means anticipating where things may go wrong and preventing those things from happening, rather than just reacting when things go wrong. As a consequence we see an improvement in relationships with family and friends. Our qualified team provides holistic supports and training to people with disability and their support networks. We have specialty skills in Autism Spectrum Disorder, dual diagnosis, functional communication, sensory processing and acquired brain injury. We have a demonstrated record in the reduction of restrictive interventions at both an individual and organisational level, with behaviour support plans evaluated as being high in quality by the Behaviour Support Plan Quality Evaluation tool (BSP_QEII). determine the reasons for a behaviour of concern and provide targeted strategies on how to support the person to decrease their reliance on that behaviour to have their needs met. 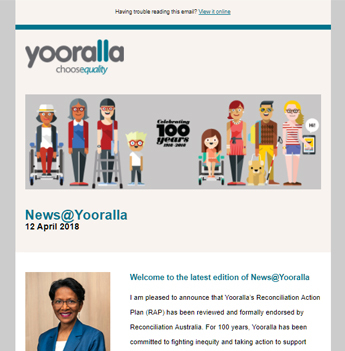 For more information on how Yooralla can assist you with Positive Behaviour Support, please contact us.